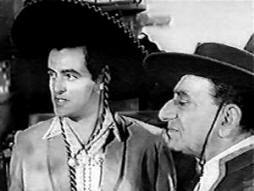 Henry on the left as "Benito DeVarga"
Notes: Henry, credited here as Henry Delgado, played "Benito DeVarga" in his television debut on this episode of Wagon Train. This popular NBC series ran from 1957-1965. In 1962 Wagon Train migrated to ABC, expanded from 60 minutes to 90 minutes, and went from black & white to color. It was the story of a wagon train traveling from Missouri to California. This episode included HC guest, Abraham Sofaer. HC stunt men, Red Morgan and Henry Wills also worked on Wagon Train. 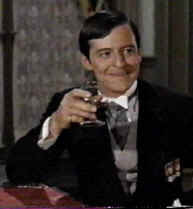 Notes: Henry played the title role of "Cougar Man" in this episode of The Iron Horse, the story of the building of an 1880's railroad line through the West. The series ran for 47 episodes over two seasons. This episode also included HC cast member, Rodolfo Acosta and HC guest, Morgan Woodward. HC stunt men on this series included Bob Hoy and Steven Burnett. Notes: Henry is now using his new stage name, Henry Darrow, in the starring guest role as "Oro" in this morality play about an unwilling hangman. One of the longest running television series, Gunsmoke ran on CBS for twenty years from 1955 to 1974 with James Arness in the lead role the whole time. It began as half-hour episodes and expanded to an hour in 1961. In 1966 it switched from black & white to color. Like most long running Westerns, most of the HC actors appeared on Gunsmoke at one time or another. This episode included HC guests, Morgan Woodward and Anna Navarro. Stunt work was contributed by HC actors/stuntmen, Bob Hoy, Jerry Summers, Neil Summers, Alex Sharp, Bob Terhune, Steve Raines, Red Morgan, Roy Jenson, Loren Janes, Jerry Gatlin, Richard Farnsworth and Carl Pitti. Notes: Henry played "Archduke Maurice of Moldafia" in this second season episode of the popular CBS Western-Spy series that ran from 1965-1969. It used a 60-minute format that began as black & white but switched to color in 1966. 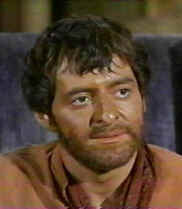 Notes: Henry plays a rather nasty character, "Ross Segurra", in his second appearance on Gunsmoke. HC guest, Lew Brown, also appears in this episode. Notes: Henry plays the title role of "Amigo", a bandit with a good heart, in this episode of David Dortort's sister series, Bonanza, that ran on NBC from 1959-73. Nearly everyone involved with HC is credited with contributions to Bonanza as well. This episode included HC guests, Gregory Walcott, Anna Navarro, Warren J. Kemmerling, and Troy Melton. HC stuntmen who worked on Bonanza during its run included Henry Wills, Bob Hoy, Jerry Summers, Jerry Gatlin, Bob Herron, Whitey Hughes, Troy Melton, Alex Sharp, Neil Summers, Bob Terhune, Jack Williams, Jay Jones, and Carl Pitti. 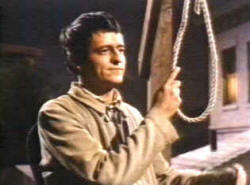 Notes: Henry plays "Gideon" in this episode of the popular Daniel Boone series that ran on NBC for six seasons from 1964 to 1970. HC actors and stunt men who contributed stunt work over the course of this series included Chuck Bail, Steven Burnett, Tony Epper, Orwin C. Harvey, Charles Horvath, Bob Hoy, Loren Janes, Roy Jenson, Red Morgan, Walter Scott, Neil Summers, Bob Terhune, and Jack Williams. Notes: Henry played "Alvarez", one of more than 100 speaking roles in this ambitious 12-part mini-series based on the James Michener novel about the town of Centennial, Colorado. Numerous HC actors participated including Chief Dan George, Morgan Woodward, Alan Caillou, Alan Vint, Dave Cass, Lou Frizzell, Michael Ansara, Ed Bakey, Robert Do'Qui, Clint Ritchie, and Joaquin Martinez. Stunt contributions from Dave Cass, Tony Epper, and Neil Summers. Notes: This was an animated version of the Zorro legend with Henry Darrow as the voice of Don Diego/Zorro. There were thirteen 30-minute episodes. This was the first time that a Latino was cast for the part of Don Diego/Zorro. Notes: Henry played Zorro (Don Diego de Vega), twenty-five years after his prime in this short-lived comedic "next-generation" series produced by Disney Studios that ran for only five episodes in 1983. 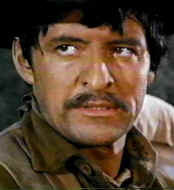 This was also the first non-animated production to cast a Latino was cast in the role of Don Diego/Zorro. 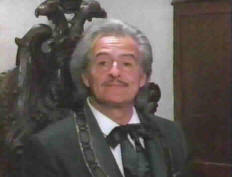 HC guest, Gregory Sierra also had a regular cast role. 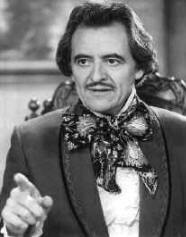 Notes: Henry played one of the regular cast roles as Don Alejandro de la Vega, the father of Zorro, for seasons two through four of this Family Channel series that ran for four seasons from 1990 to 1993. He is the only actor to have played a part in three different versions of the legend. Filmed in Spain, this series was widely acclaimed as one of the best television renditions of the Zorro legend, with much attention to locations, sets, and costuming. There were 88 30-minute episodes, but several have been compiled into two movie length features, "Zorro: The Legend Begins" and "Zorro: Conspiracy of Blood". The full series has not yet been released. 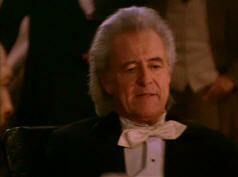 Henry as a "Riverboat Poker Player"